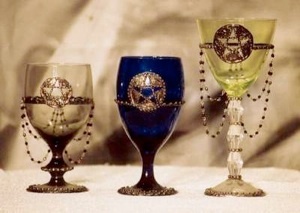 Chalice availability dependent on glassware contact us to see what’s in stock. 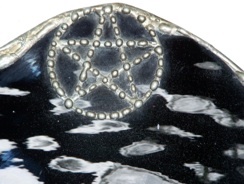 Pentacles and other symbols of power to choose from. 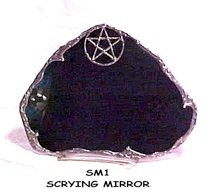 Exquisite Scrying Mirrors made to order. Pendulums made with a variety of stones and chains, call or stop in to see what we’ve just made.